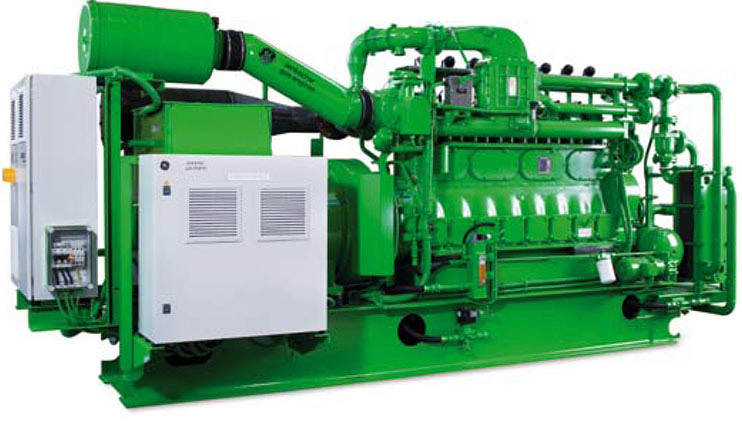 Introduced in 1976, the GE Jenbacher Type 2 has been continuously refined based on extensive field experience and efficiency advancements in engine design technology. Featuring 8 inline cylinders, it promotes optimized combustion for producing high efficiency power at 335 kW range. 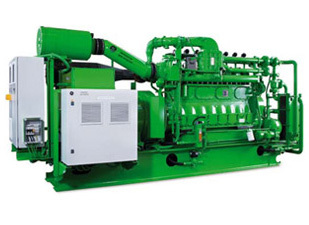 Its flexible design offers a high reliability solution for a variety of gas types, and it can be configured as a generator set, cogeneration system, or containerized generator set/cogeneration unit. The Jenbacher Type 2 supports your clean energy initiatives by using biogas, sewage gas, and landfill gas to produce electricity and heat in an environmentally friendly manner. By turning otherwise harmful pollutants from waste processing, agricultural, landfill, and dairy sites into fuel, you can avoid significant GHG emissions while saving substantial energy costs. Capturing waste heat and redirecting it to productive use offsets fuel consumption for process heating, this also has significant impact on emissions and energy savings. Robustly designed, solidly constructed, and equipped with next-generation control and monitoring systems, the Jenbacher Type 2's outstanding electrical and thermal efficiency provide maximum return on investment. They have demonstrated proven reliability in hundreds of installations over millions of operating hours. To learn more about the Type 2 GE Jenbacher engine, contact us for an in-depth discussion.